Like medicine, microbiology isn't a single subject but rather an umbrella, which offers a range of specializations. The college with the encouraging feedback from guardians, students and expertise of concerned field, started M.SC Microbiology (medical) from 2012 under the affiliation of TU. The range of job opportunities for microbiologists is as varied as the organisms they examine under their microscopes. Some of the career opportunities includes R & D Department of any Biotechnology company , Research Assistant (in Genetics, and Biochemistry), researcher, lecturers, employment in food industries, pharmaceutical industries, hospitals and research laboratories, NGOs, INGOs, public health, agricultural, animal science, environmental sector etc. Bachelors degree in Micobiolgy from TU or equivalent degree recognised by TU can apply. Students must appear and pass entrance examination conducted by Tribhuvan University. Bechelor in Food Technology (B.Tech, Food) was introduced in 1979 (BS 2036) in Dharan, Sunsari, Nepal. It is a four-year degree course (in total of 2000 marks). Regional College of Science and Technology (Re-COSt) is running this program for the first in Pokhara from 2011.The scope of Food Technology is increasing day by day due to the continue growth and development of the food industries, the emerging challenges for quality and saftey management in the export maket and consumer trends towards the dining variety, new culinary convenience food mean. 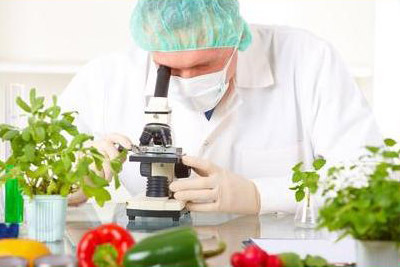 There are more opportunities than ever before for the people having qualifications and skills in the food processings. After completion of B. Tech (Food), graduates can start their career in a number of diverse fields like; research and new product development, food safety, quality audit and quality assurance, manufacturing technology and technical services, production management and process development, government jobs in food sectors, national and international food business, NGOs, INGOs, etc. Student must pass the entrance exam conduct by Tribhuvan University. Stuudent are selected based on their performance on entrance examination. Microbiology is the study of all aspects of microorganisms (bacteria, virus, fungi and protozoa) and application of microorganisms in various fields including biotechnology, medicine, industries, environment, agriculture etc. Microorganisms play important role in every fact of life. It is not only concerned with disease but also they are pedominately benificial in enviornment, agriculture, industries and has many biotechnology applications. The course includes Microbiology as the core subject and Botany/Zoology, Chemistry as the other subjects. The students will involve themselves in project works each year for promoting their professionalism and reserach. Upon completion of the course, this students will be equipped with the necessary credentials for monitoring public health and hygiene, quality control of food, beverage, pharmaceuticals and biotechnology related aspects. They can also find their prosperous career in various acadamic, research and service institutinons in both public and private sector. Successful candidates may go further specialization through M.Sc. Microbiology and other related courses. In develooing countries like Nepal, Microbiology presents its higher importance in Medical, industrial, Agriculture, Food, Research and Develoment, Education and several other fields. Re-COHST was established in 2068 with a view for better lab diagonosis, radio diganosis and research. Re-COHST is affiliated with CTEVT and permitted from NHPC. Within short duration, the institute has gained both popularity and sucess to educate and produce qualified, skilled lab techncian and Radiographer thus uplifting the standard of technical education. Medical technicians are involved in patient care as they help clinicians in diagnosing and treating the patients. They perform laboratory investigation (sample collection, diagnosis and recording/reporting) of specimen collected from patients using appropriate techniques and thus help clinicians for disease diagnosis. They are required in various governmental and private hospitals, plyclinics, diagnostic centres, medical colleges and in many NGOs and INGOs. They can even pursue their higher study in MBBS, BMLT etc. Successful candidates get registration from NHPC-'Kha' after which they even can open their own private diagnostic laboratory and provide services. Radiograhers are certified technicians that capture images of organs, bone and tissues for patient diagnosis. They are involved in initial patient evaluation and testing, providing diagnostic and evidentary data to physician. They are required in various governmental and private hospitals, plclinics, diagnostic centres, research centres, medical colleges and in many NGOs and INGOs. They can even pursue their higher study in MBBS, BMIT, etc. They can even open their own X-ray clinic.